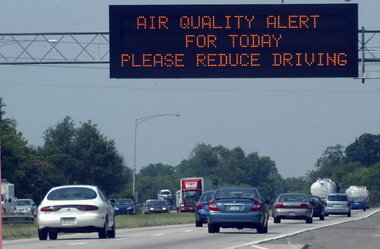 Birmingham may meet EPA air quality standards after all | al.com: BIRMINGHAM, Alabama -- Updated air quality data suggests that metro Birmingham may meet new, tougher federal air quality standards for soot, contrary to assertions made recently by U.S. EPA's top air official. According to Ron Gore, chief of the Alabama Department of Environmental Management's Air Division, monitoring data of the area's air quality from 2011 puts Birmingham in the range of other counties EPA considers to be on course to reach annual particle pollution reductions. Earlier this month during a discussion of the new standards by the Environmental Protection Agency's top air official Gina McCarthy, Jefferson County was identified as one of six counties nationwide that would need to take additional measures if it hoped to make the standard.